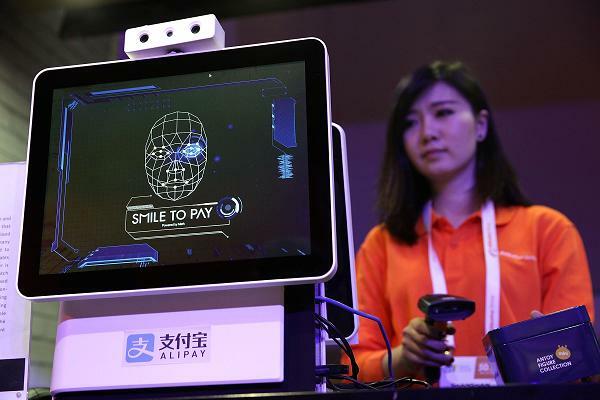 Alibaba introduces 'Smile to pay' facial recognition, Apple to follow suit? E-commerce and online manufacturer giant, Alibaba collaborates with KFC to unveil 'Smile to Pay' facial recognition in Hangzhou, China where the company's global HQ is located. The latest technology service allows customers to process their payment by simply flashing a smile once their order has been placed at the fast-food restaurant. Alibaba's subsidiary, Ant Financial, behind the new facial recognition payment system aims to revolutionise offline retail spaces through innovative technology. 'Smile to Pay' only takes two seconds to scan a person's face using 3D camera and a "live-ness detection algorithm" to fight fraud and guarantee a user's identity. The algorithm can detect shadows and additional features that can only come from living humans therefore automatically blocking photos and videos with additional mobile phone verification to "further ensure the security of transactions", Ant Financial says. — Jidong Chen, Ant Financial's director of biometric identification technology. Watch as Alipay's new technology scans hundreds of feature points on your face to make payments easier and more secure. We are moving towards a cashless society where digital payments are evolving and we are quickly moving away from carrying a wallet and less in hard cash, relying on our smartphones for making payments. Alipays breakthrough in facial recognition technology means that customers won't need to pull out their wallets - or even smartphones. The technology is available to customers registered to the Alipay app - the mobile and online payment platform established in Hangzhou by Alibaba's founder Jack Ma. The launch sits in line with Yum China's plans to attract younger generation of customers. Facial recognition is expected to be added to the new iPhone 8 according to Bloomberg reports, which will include sensors to help recognise the face of owners of the iPhone 8. Other brands including Samsung have introduced face and eye recognition however they have been blighted by an inability to recognise quickly, as for Apple's "industry first" allowing users to authenticate payments using facial recognition, which we can assume will be linked with Apple Pay. Newer PostIs 'rentvesting' the new property buyers 'Australian Dream'?